We’d like to thank Xtreme Consulting Group for launching the first Charity Ball online fundraiser with our new campaign interface. Xtreme is using their company event to invite employees, family and friends to join them in making a difference in kids’ lives. 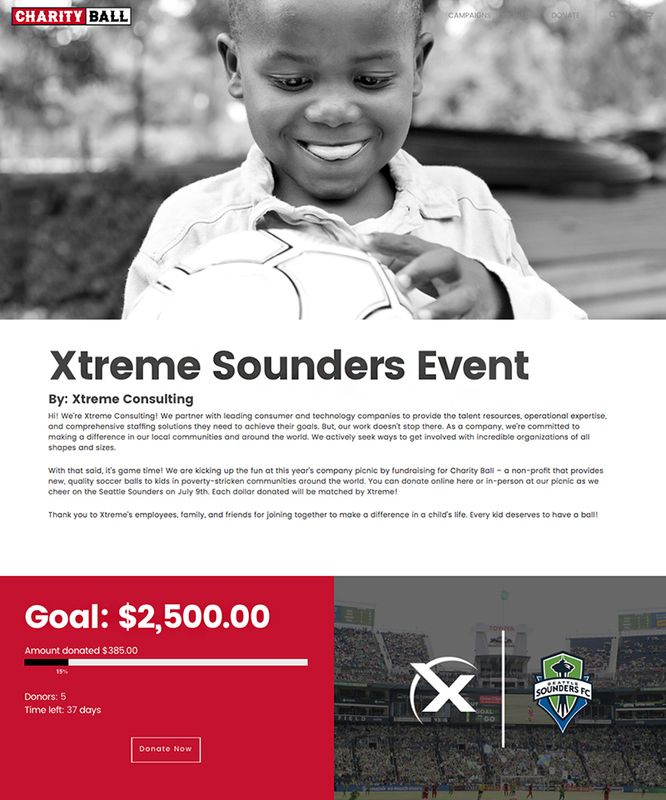 Each dollar donated at their event or online will be matched by Xtreme. Check it out here. Interested in having your company, group or team start a Charity Ball online fundraiser? Contact us to get started or register your own campaign here. Thanks for helping us make the world more beautiful! As many of you already know, I play club soccer for Midwest United out of Grand Rapids, Michigan. Midwest is a great club with some amazing coaches. I’m honored to be a part of such a program. Often times during our training sessions we’ll use a set of cones to form a small goal for small-sided games or 2v2’s. However, this past week, a new type of goal was introduced. 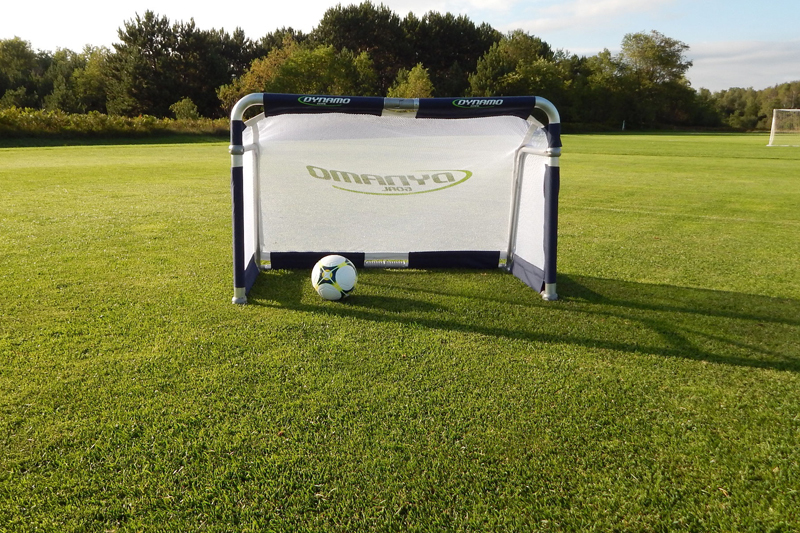 This wasn’t just your standard 3×3 off-brand, PVC, goal. 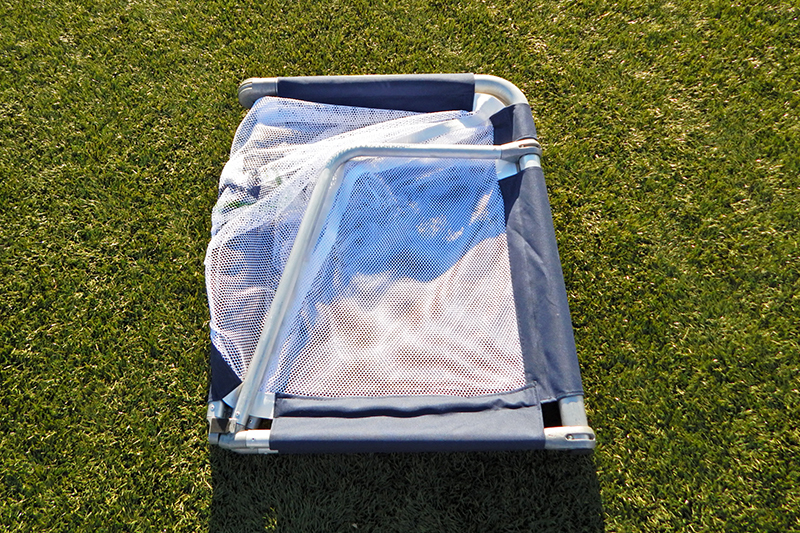 It was strong and sturdy like a full-sized goal, but it was also able to fold flat and be easily carried. 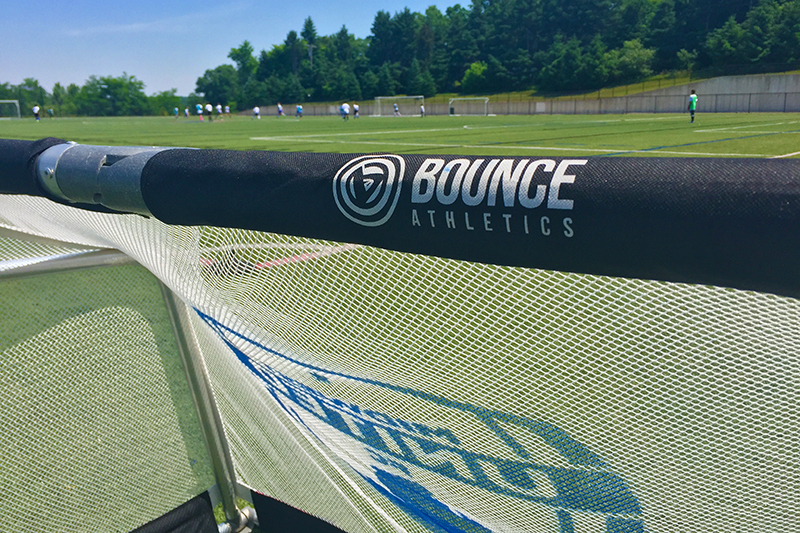 Intrigued by this product, I took a closer look and noticed two “Bounce Athletics” logos on the crossbar. For those who don’t know, Zach and the guys at Bounce are awesome and one of our partners at Charity Ball. Sure enough, when I got home and visited their site, the Dynamo Goal was there. I have to say that this goal is probably one of the best I’ve ever seen as far as size, stability, and practicality goes. Thumbs up to Bounce on a sweet invention! For more information and to get a better look, check out the Dynamo Goal here. With the Euro 2016 and the Copa America tournaments taken place, it is hard not to notice all the new cleats on the pitch. 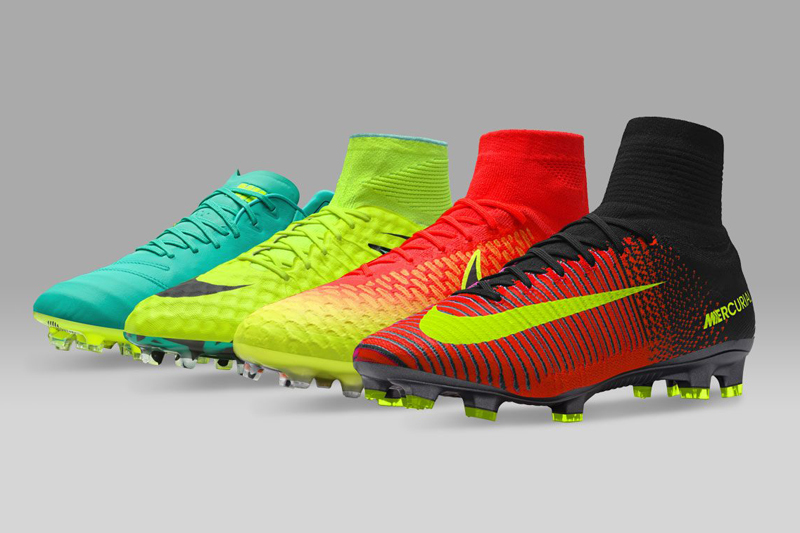 About a month ago, Nike released their new Spark Brilliance Pack with an entirely new batch of color ways. The Hyper Venom and The Mercurial lines have been completely re-engineered. The Hyper Venom goes “back to the future” by using a rendition of the first skin that was introduced back in 2013. The Superfly and Vapor has also been entirly remodeled with a new skin and sole plate that is 40% lighter and a new traction system that is designed for insane speed. In my opinion, Nike did a great job with their new pack. Check em out here. 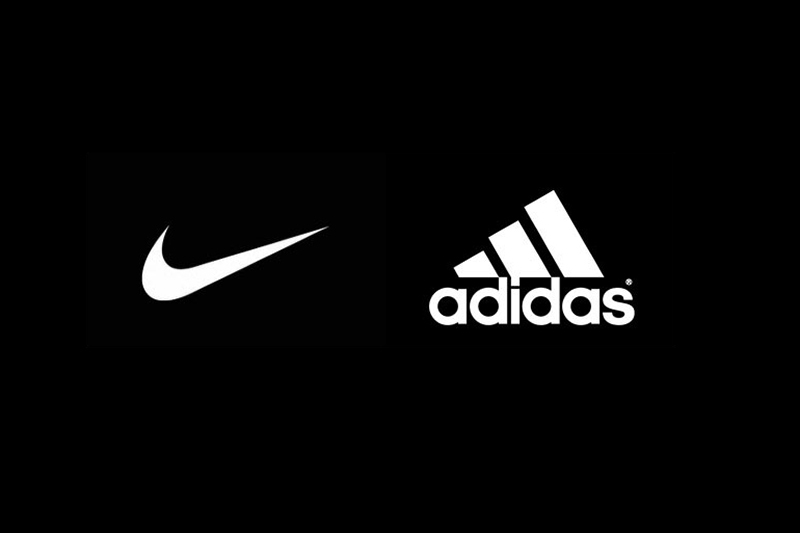 Adidas has also been busy. Recently they introduced The Mercury Pack which contains two new boots for 2016. The X16+ PURECHAOS and the MESSI 16+ PUREAGILITY. This set has a brand new TECHFIT lacing system that allows the player to tuck their laces inside a flap on the cleat. Adidas’ new PURECUT SOCK SYSTEM keeps the laces out of sight to give the player an upgraded aerodynamic effect. 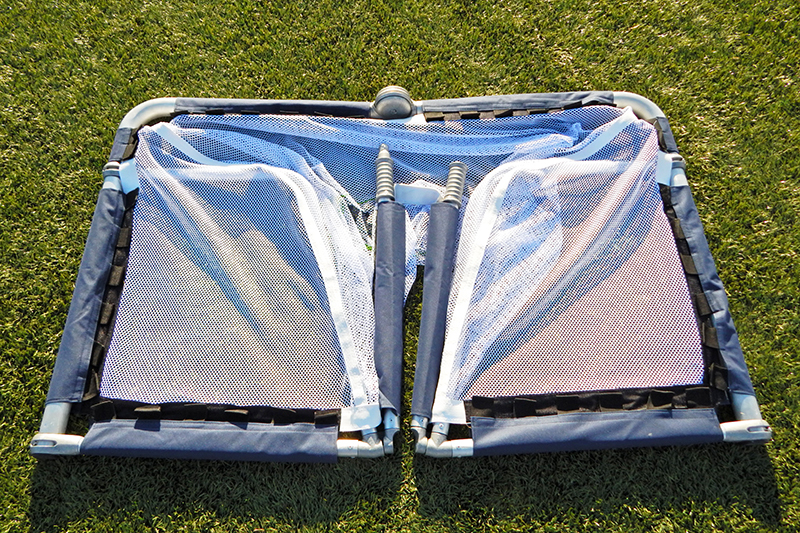 Both cleats have new skins and sole plates that result in lighter weight and better traction. 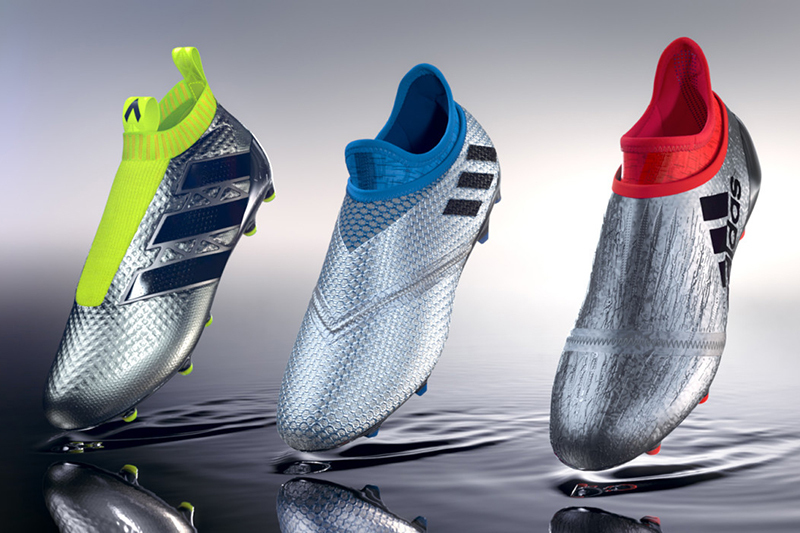 The pack’s color ways are super sweet and shine bright on the pitch just like mercury. Check em out here.